Analyze what you want to study: Before you start searching for the right school, you should consider your abilities and goals. What stream you want to take and what career opportunities you are expecting. Which type of course you are considering either full-time or part-time. Keeping all this in mind is one of the most important steps towards choosing the institute. Choice of college: Once you know what kind of course and specialization you are considering, it’s time to select the particular college offering that course. Every college offers particular courses and the reputed and best MBA colleges will land you a good job after completion of the degree. Teaching faculty: Now, you have decided which college is better, it is time to get information about the faculty from the college website or the alumni. One should also get information about the teaching methods too. Does the college have highly-qualified and experienced faculty as those makes sure if you will get the best education there. If the faculty is experienced and efficient, they will share their experience with you to help you learn better. Student-faculty ratio: It is also important to know about the number of students in a class. If, the number of students is less in a class, the students will get the best quality education as the teachers will pay individual attention to a student to help them achieve their goals. Infrastructure: Apart from the classrooms, the infrastructure of the campus matters a lot. Before choosing the college, it is important to check whether the institute has well-equipped labs, library, canteen and other facilities available ensuring the great learning environment. Tour the campus to get the idea about infrastructure and other facilities. Reputation: The name of institute matters a lot in your resume for the whole lifetime. Graduating from the best institute is a big deal. Before finalizing an institute, it is important to check out the reputation and overall ranking of the college. Participate in the online forums and discuss with the alumni to check the reputation of the college. Check how many students got placed in the last session and what was their package along with what are the teaching methodologies used and more, all these factors matter a lot. 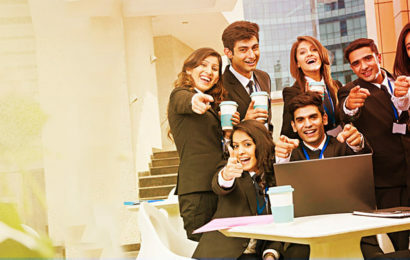 Curriculum and internship: Many reputed MBA institutes in Gujarat have adopted experiential learning throughout the course and with internships and exchange programs. It is always important to check if the course curriculum is designed as per international standards and industry terms.